An extensive exhibition featuring Golombek’s work from the 1980s to the present. 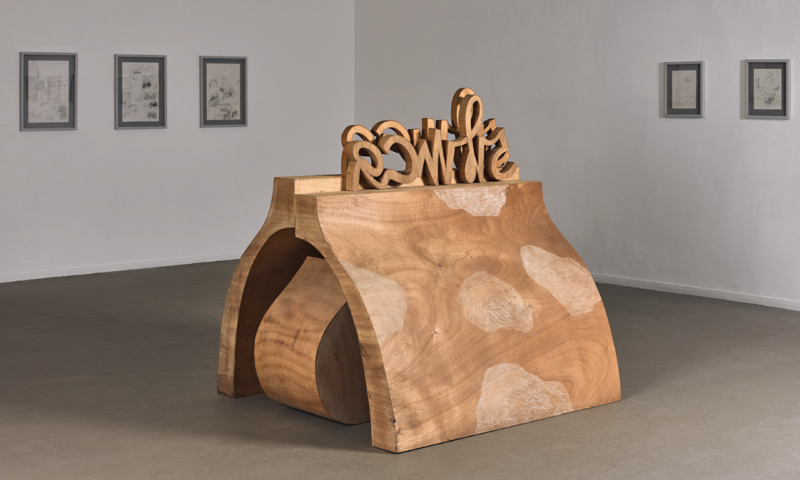 Golombek’s sculpture presented a unique voice, a new option of personal and physical sculpture that is anti-heroic, antimasculine, diasporic, soft and collapsible, in which objects made of thin plywood peel became swollen with air, accentuating the “nothing.” His new works deal with old age and the body’s eroticism, and attest to a complex allusion to its loss. (photo: Meidad Suchowolski and Tomer balilti).